Students explore the first three dynasties of ancient China in chronological order‚ÄîXia, Shang, and Zhou. Xia‚Äôs status as semi-mythical is introduced. Then students research the difference between the Bronze Age and the Iron Age, a transition that occurred during the Zhou Dynasty. 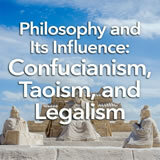 Finally, they examine the concept of the Mandate of Heaven and discuss its positive and negative aspects. In this experience, students explore the first three dynasties of ancient China in chronological order—Xia, Shang, and Zhou. Xia’s status as semi-mythical is introduced. Then students research the difference between the Bronze Age and the Iron Age, a transition that occurred during the Zhou Dynasty. Finally, they examine the concept of the Mandate of Heaven—equivalent to the European concept of the divine right of kings—and discuss its positive and negative aspects. Describe the social, political, and economic development of China’s first civilizations. Explain the Mandate of Heaven and its impact on early Chinese rulers. When you study ancient China, you’ll read or hear the word dynasty again and again. A dynasty is a series of rulers who belong to the same family. A dynasty may consist of only two rulers or many in a row. China was ruled by approximately 13 dynasties, from about 2000 B.C.E. to 1912 C.E.! (Different experts give a different number of dynasties. History isn’t an exact science!) The earliest dynasties in China were the Xia, the Shang, and the Zhou. You will learn about their history in this experience. How do you think one dynasty gives way to another? Write your idea in a sentence or two. Accept any reasonable suggestions at this point. Students may list possibilities like war, assassination, elections, marriage, and revolution.